While paging through National Geographic’s excellent iPad app, I came upon an advertisement for a Nat Geo-branded game called Howling Mouse. As a zoology major and something of an iOS platformer game connoisseur, It immediately piqued my interest. 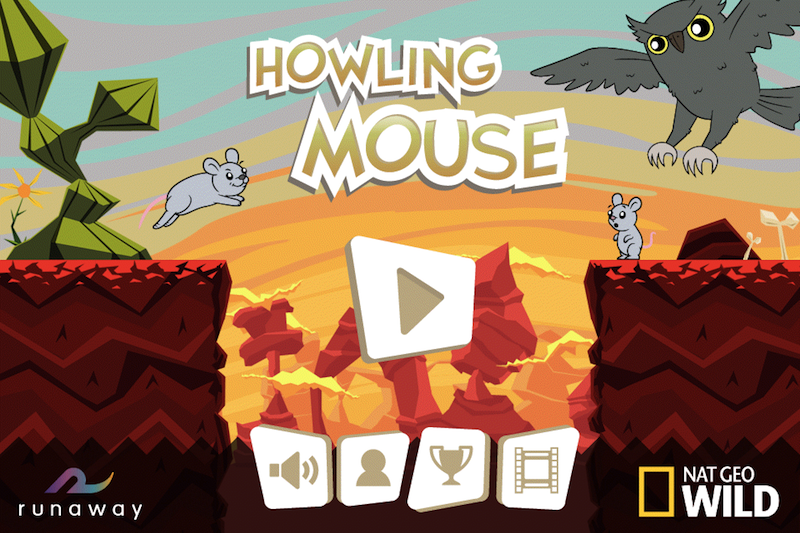 So how does Howling Mouse stack up in the crowded iOS gaming space? The first thing you should know about Howling Mouse is that it’s meant for children. No deep plot or complicated controls here – just a simple game in which a mouse runs around the desert searching for her lost babies. Since it’s Nat Geo, there is also some educational material about the various animals featured in the game. 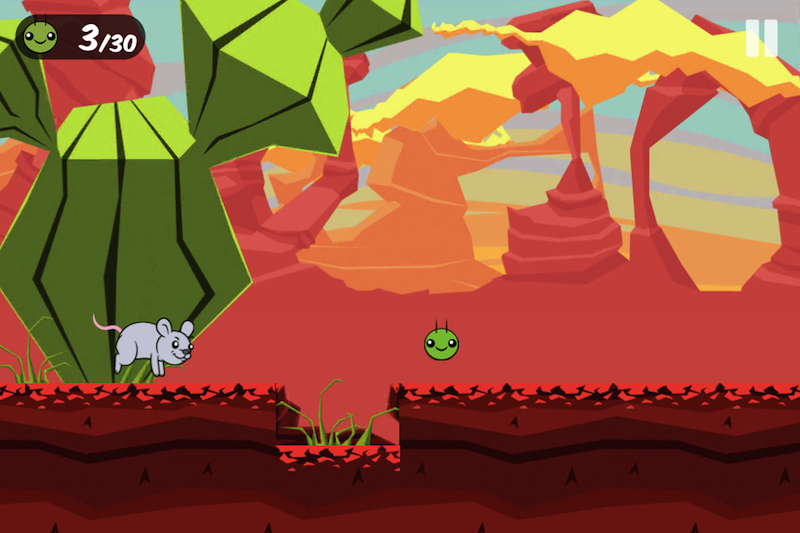 Gameplay consists of tapping the screen to jump over obstacles and collect grasshoppers. You play as a mother Grasshopper Mouse, a desert species that is the only carnivorous rodent in North America. It also howls to define its territory, which makes for an adorable video. Your baby mice are lost in the desert, and a hungry owl is out for the hunt. Jumping and collecting is nothing new, but the styling of Howling Mouse really sets it apart. The scenery is absolutely stunning, with stylized buttes and cacti dotting the landscape. The artwork is so eye-catching that I felt compelled to download the app just so I could see it in more detail. 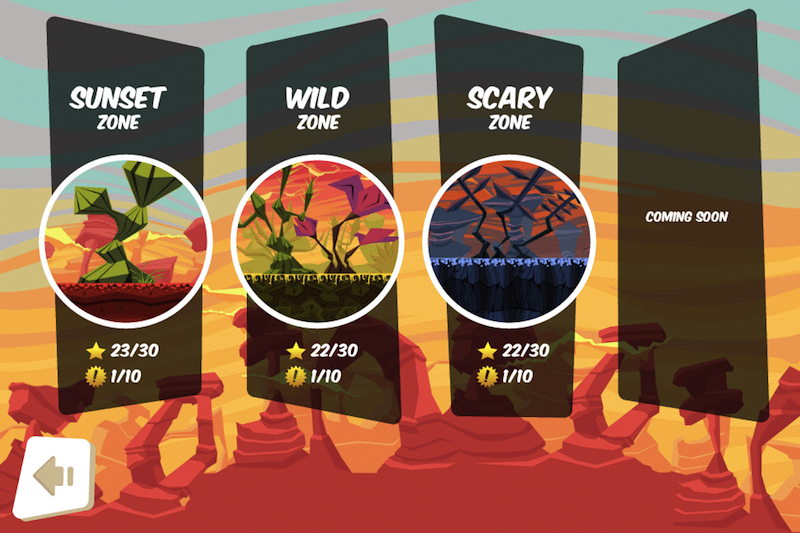 You run through three different environments, with 10 levels each: The Sunset Zone, Wild Zone, and Scary Zone, each with unique scenery and challenges. The selection screen promises that more are “coming soon,” but I take that with a grain of salt since the game has been on the App Store since last November. Since it’s targeted mainly to children, much of the game is very forgiving. Grasshoppers are like rings in Sonic, but harder to lose. If you hit some spikes or run into a scorpion, you lose 10 grasshoppers. You’ll survive unless you possess less than 10, and you only need to have 10 out of 30 grasshoppers to pass a level. I had an easy time breezing through most of the first two zones, but the Scary Zone kicks it up a notch with some seriously tricky levels. In addition, you can revisit some levels in every zone after you complete it to try more difficult challenges. The last level in each zone has you running from a Great Horned Owl flying right on your tail. One slip-up and you’re carried off in its talons. This owl is actually the only real problem I have with the game – the mouse, and every other creature in the game, is animated, but the owl just glides along lamely, never moving or flapping its wings. For all the detail packed into the scenery, it’s disappointing that the owl can’t even flap once in a while. 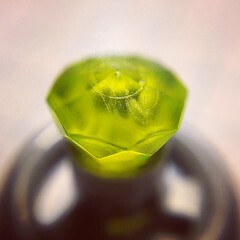 Regardless, it makes for an exciting and dicey boss level. 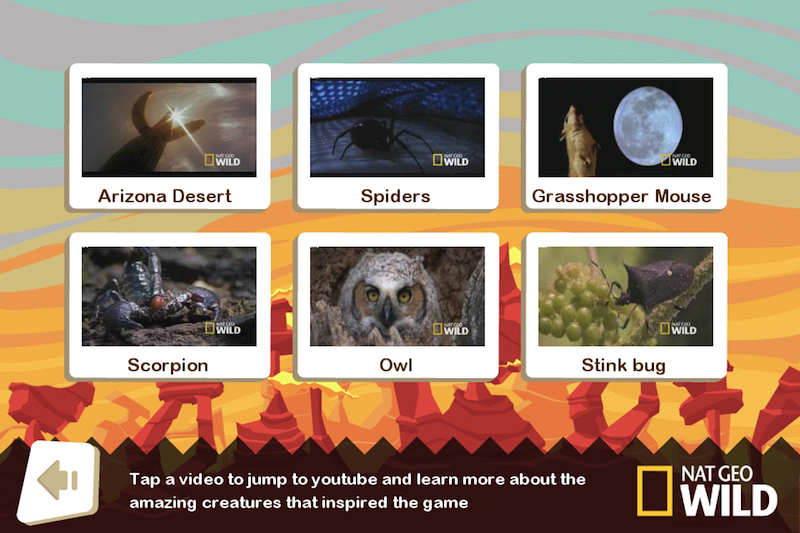 After completing each level, you’re offered a fun animal fact, and you can tap to watch a short video on six topics. The videos pop you out of the app to YouTube and are less than thirty seconds long. Hardly in-depth, but fun to watch a couple times. (The mouse video linked above is one of them.) I like that Nat Geo is making an effort to teach kids about desert wildlife, but it would be great to have some longer videos for more attentive children. In my experience, kids have no problem watching a longer science movie if it contains interesting material. Howling rodents and dangerous arachnids could definitely hold their interest longer than a brief thirty seconds. So what’s my impression of Howling Mouse? I think it’s definitely worth the $0.99, especially if it’s for a child who likes animals. I have a harder time recommending it to adults, but it is by no means a bad game. Just rather simplistic. It’s got fantastic artwork, lots of Game Center achievements, and fun animal facts, and a cute heroine. With games like this and their superb iPad magazine (not a crappy stack of jpegs, but a sharp, dynamic and multimedia-rich app), National Geographic has turned into a leading player in digital education. And for the most part, they’re doing it right. 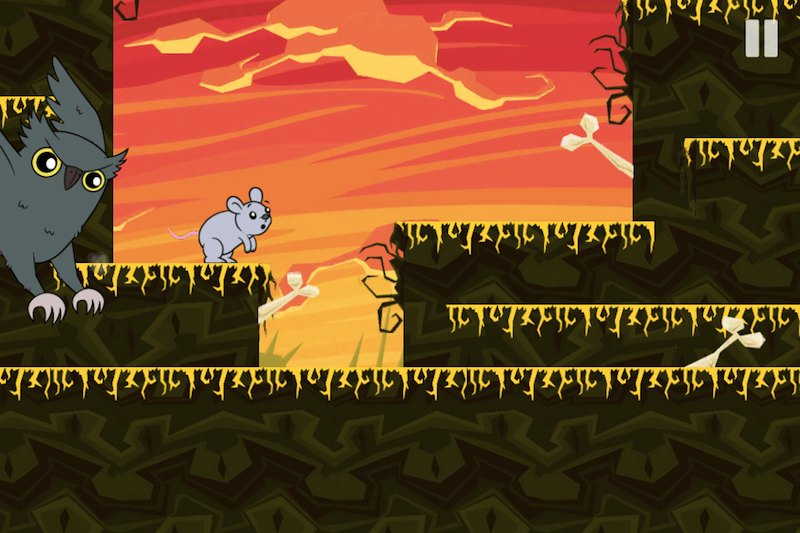 Howling Mouse costs $0.99 and is available for iPhone, iPod touch, and iPad on the App Store.